Happy Fall, Friends! I know, it has been Fall for a while now. I just haven’t had the chance to share some of my Fall decor with you all! 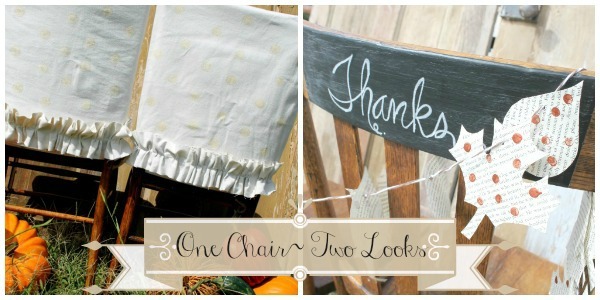 So…I’m finally sharing a fun project I put together for the So You Think You’re Crafty Competition. With thousands of Amazing Fall ideas already out there, how does one come up with something fresh and new?! 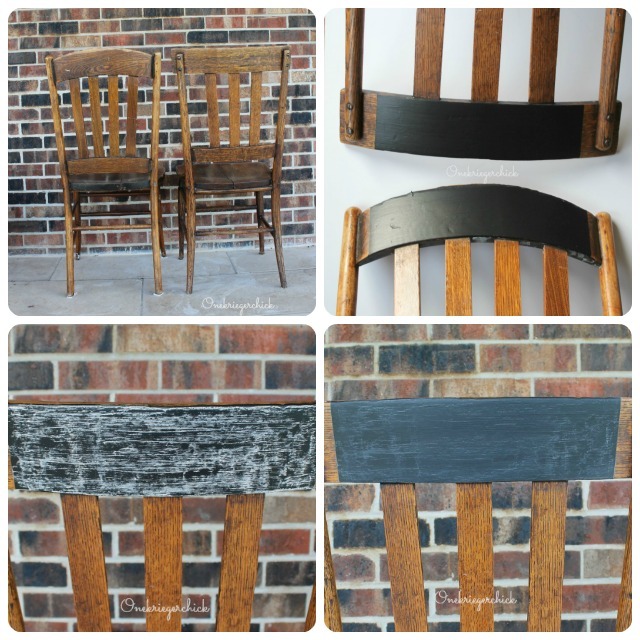 I started with a couple old mismatched chairs. These just happen to be the chairs I use in my dining room. I painted them with a few coats of chalkboard paint. When the paint was dry I primed it with a piece of chalk, then wiped off the chalk leaving a perfect new chalkboard. 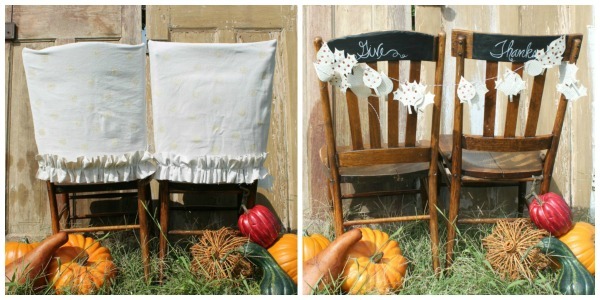 I created simple pillowcase style slipcovers for the back of the chairs. I measured the size of the backs of the chairs and cut my fabric just a smidge larger. I folded in the bottom edge and sewed a seam, then stitched up the sides. This creates a pocket. 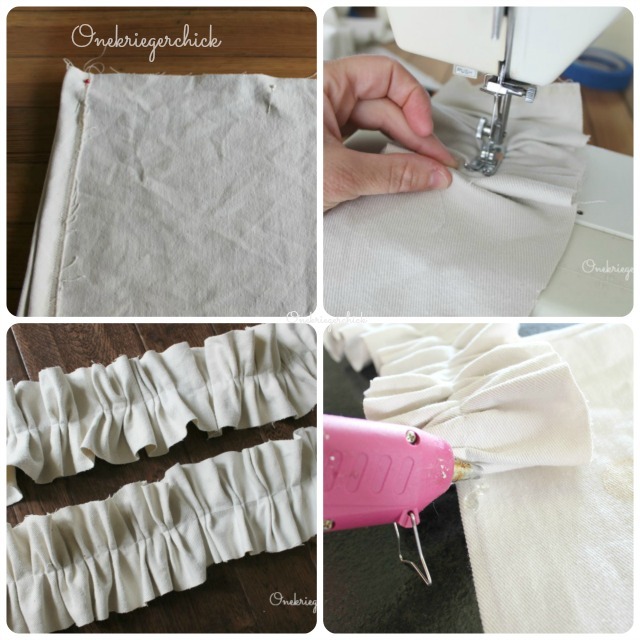 For the extra ruffle, just run a strip of fabric through the sewing machine continuously bunching it up as you go. It won’t be perfect, but that’s what makes the look. 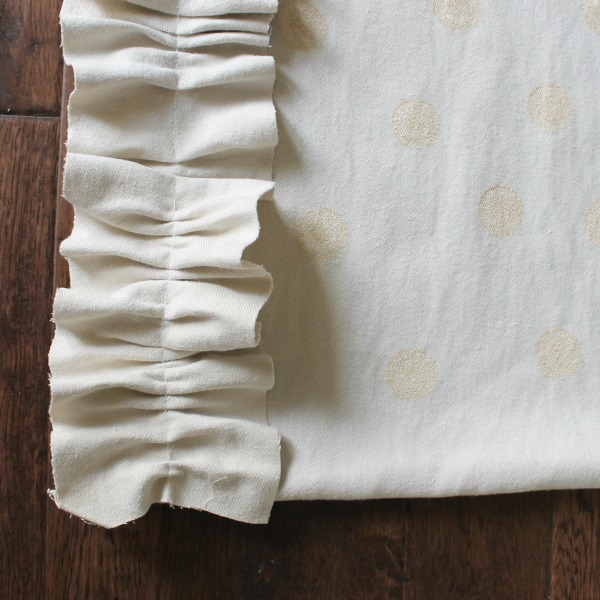 Then you can stitch the ruffle to the slipcover pocket or simply hot glue the ruffles on like I did. For the polka dots, I just stamped the slipcovers with a round foam brush and some metallic fabric paint. Subtle and simple, but they sure make an impact in my dining room. 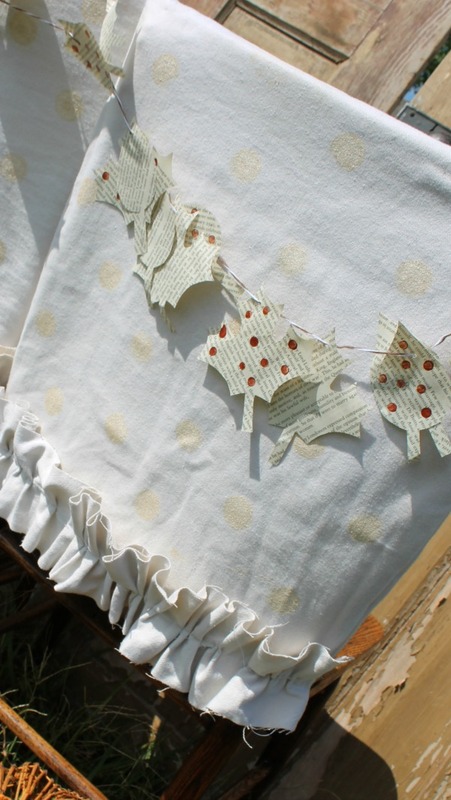 And I love the versatility…I think they will fit in perfectly with my Holiday decor as well. 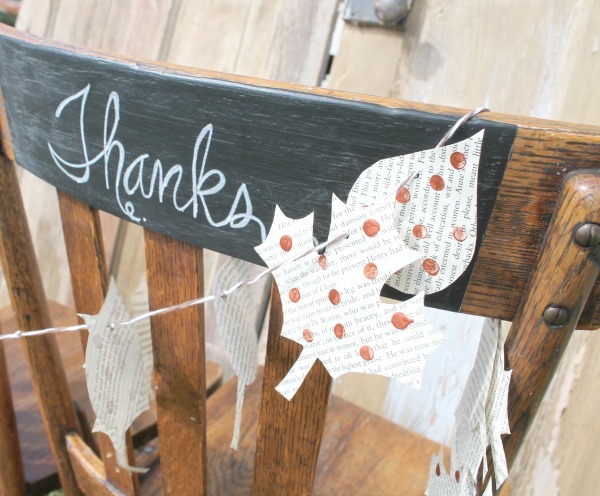 Add a festive Fall Leaf Book Page Garland to really add charm!